Pan European motorsport channel Motors TV is launching on Freeview as a 'streamed channel' from 27th February 2014. The self-proclaimed "High Speed Television Channel", broadcasts the world’s most varied coverage of international motorsport, with exclusive events and close to 120 series transmitted in 42 countries to 25 million homes subscribing by cable, satellite and broadband across Europe. Motors TV is already available in the UK via Sky and Virgin. On Freeview, the channel will launch on Freeview channel 240, courtesy of Arqiva's Connect TV service. Viewers with compatible "Freeview HD" certified devices and a broadband internet connection of at least 2-2.5 Mbps, and who can already watch other streamed channels on the platform, such as CCTV on channel 226 will be able to view the channel. Frederic Viger, Head of Programming and Acquisitions at Motors TV, said "We’re delighted to be joining the Freeview family through Arqiva’s Connect TV. Scores of motor sport fans will now have access to the widest and most diverse range of live, delayed and highlights programming that features both international and domestic championships. It was something that prospective viewers had been calling for and I’d like to think that we’ve responded to their wishes. The proliferation of internet-connected television made this a very attractive platform." Arqiva's Director of Hybrid TV, Digital Platforms Russ Armstrong said: "Motors TV is a brand that understands their audience and the various nuances between devices and platforms their audience engage on. Providing their content on the Freeview platform allows new viewers to discover their channel. Great content is as popular as ever and through Connect TV we’re working with broadcasters to ensure a seamless delivery of their channels." QUICK GUIDE Connect TV and streamed channels on Freeview. Connect TV provides access to a number of extra free and pay channels via broadband internet to viewers with the latest Freeview HD devices, including CCTV, Propeller TV and the Vision TV Network. The Freeview HD certification on current TVs, PVRs and set top boxes not only indicates compatibility with terrestrial HD services in the UK, but also compliance with the MHEG-IC standard used for streamed channels, which are provided in standard definition. The majority of streamed channels accessed via the UK's terrestrial TV platform are operated by Connect TV. Synapse TV operates pay TV service VuTV on channel 238. Streamed channels are found between channels 225 and 299 on Freeview. Additionally, broadcasters including The Box, QVC and RT offer extra streamed channels direct via the red button on channels 18, 35 and 85 for viewers with compatible devices. What type of TV do I need to watch these channels? So yet another Connected TV channel that next to no one can watch. Does anyone have any viewing figures for these channels? Pathetic! It's listed on my BT Vision Box, but I can't view it... as I haven't jumped through 1000 hoops in order the get it. 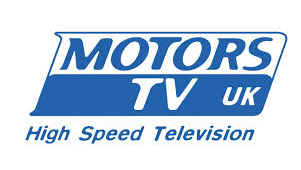 Motors TV available on Freeview...... but only if you have a specific box....with specific internet access. Streamed channels such as Motors TV cannot be recorded. Whether or not the spec will change to allow this in the future remains to be seen.